For the vast majority of time since human beings have existed, the sun has been our daily timekeeper, while the moon, observable stars and constellations have been our calendars. Inevitably, the natural world served as the basis and source of inspiration for the earliest time measurement devices and concepts. 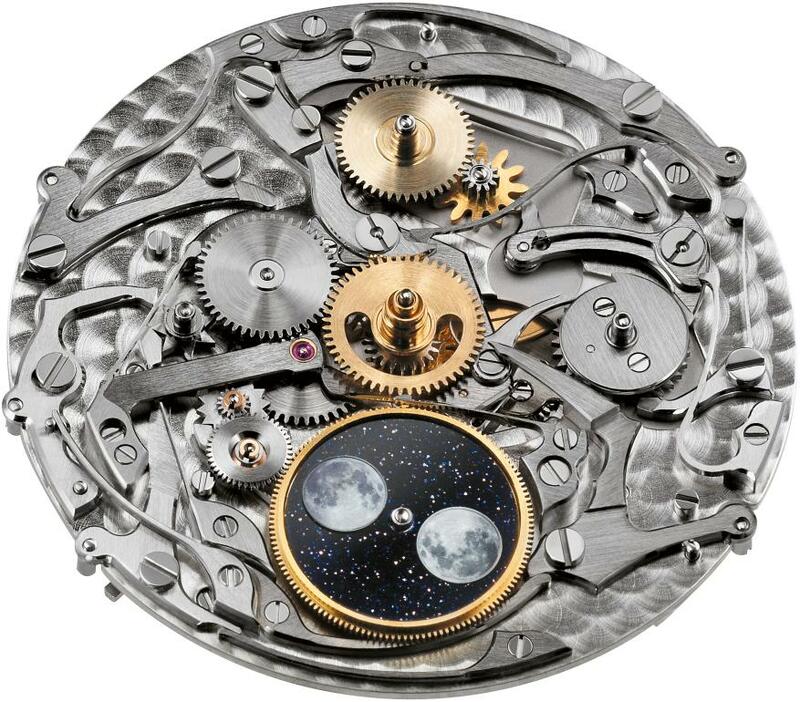 Already, watches from the mid-16th century began to feature astronomical complications, including day, date and phases of the moon, but it was not until the 17th century that better accuracy and reliability in mechanical horology could be achieved. The calendar mechanisms of these early astronomical watches are generally referred to today as simple calendars or triple calendars (day, date and month). 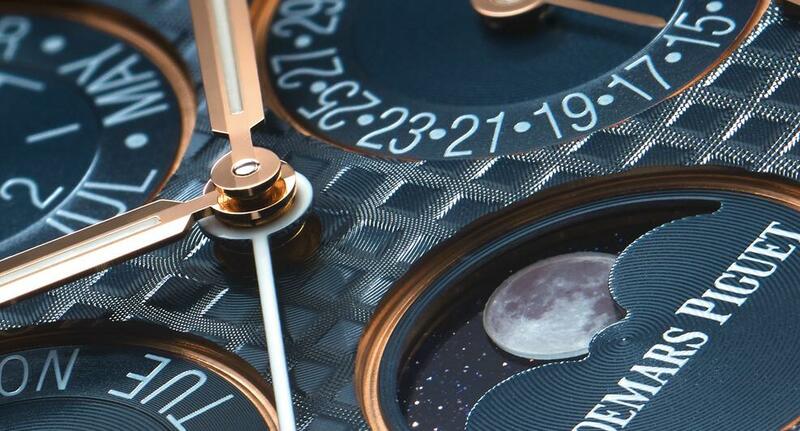 They usually feature moon phase displays but do not make the adjustment to the leap year, and the date does not automatically adjust to compensate for the varying number of days in each month. 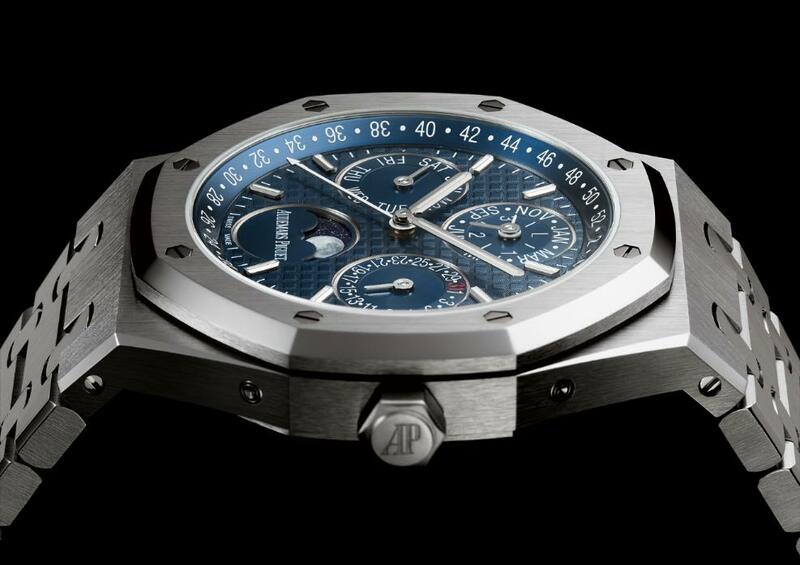 On the other hand, a perpetual calendar watch is a complex micro-mechanical device that has been engineered to automatically adjust to the varying number of days in each month, and even to the leap year. 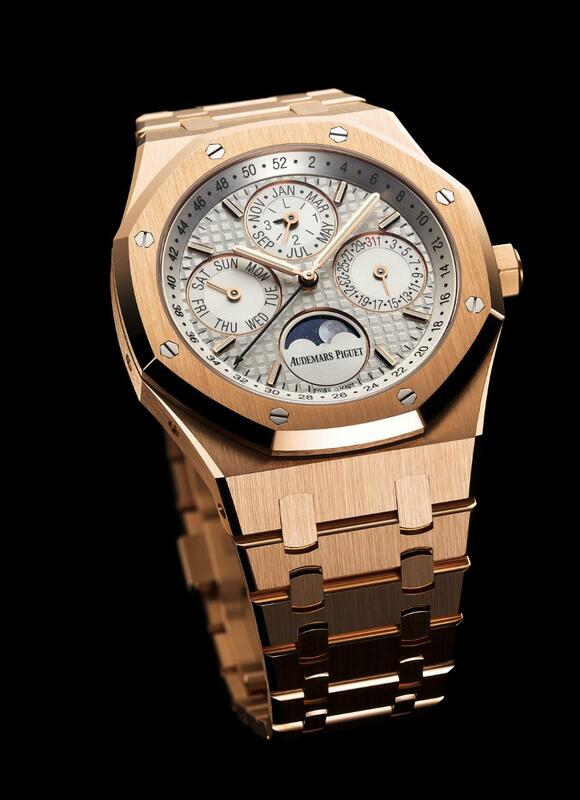 The watch knows that February has 28 days for three consecutive years prior to the leap year when the 29th day is added. It is in many regards an analog computer as it calculates or computes the complexities of the calendar independently from the user, taking automatic account of months with 28, 29, 30 and 31 days. 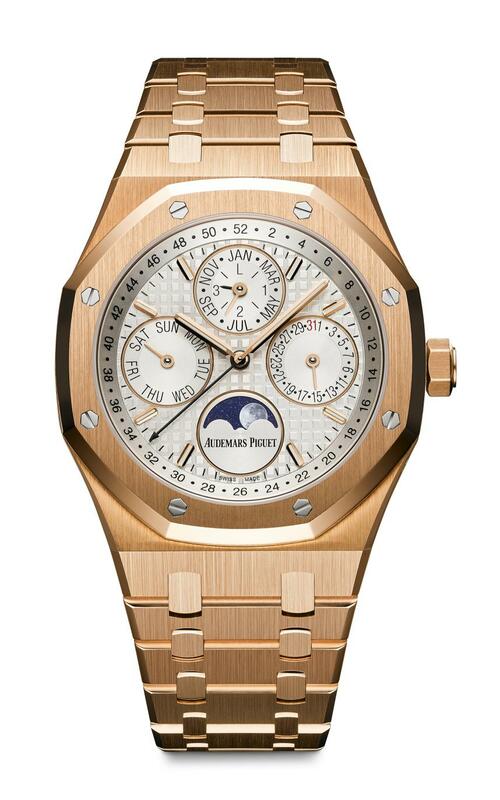 Perpetual calendars are part of the DNA of Audemars Piguet, and in 2015 the Royal Oak Perpetual Calendar returns to center stage with 4 different versions (2 in steel, 2 in pink gold). 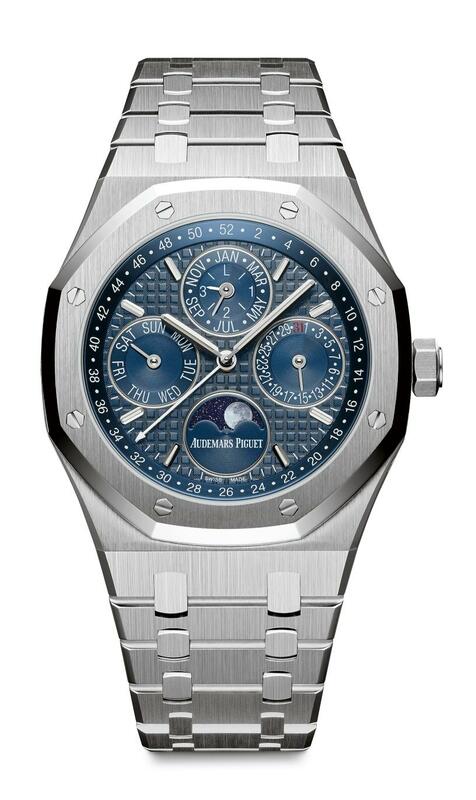 Continuing the shift in watch case size that began in 2012, the new Royal Oak Perpetual Calendar is now 41mm, yet still extremely thin. The enlarged size has resulted in a Grande Tapisserie dial design that greatly increases the overall aesthetics, balance and legibility of the perpetual calendar indications. 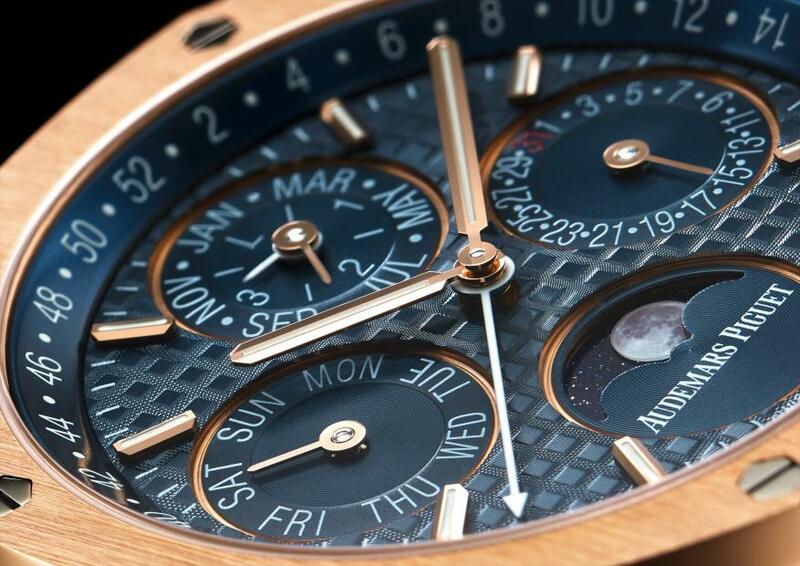 The layout of the dial includes all of the traditional indications of a perpetual calendar watch: day, date, highly detailed astronomical moon, month and leap year. In addition, the 52 weeks of the year are indicated by an outer chapter ring with corresponding central hand, adding another layer of time measurement. 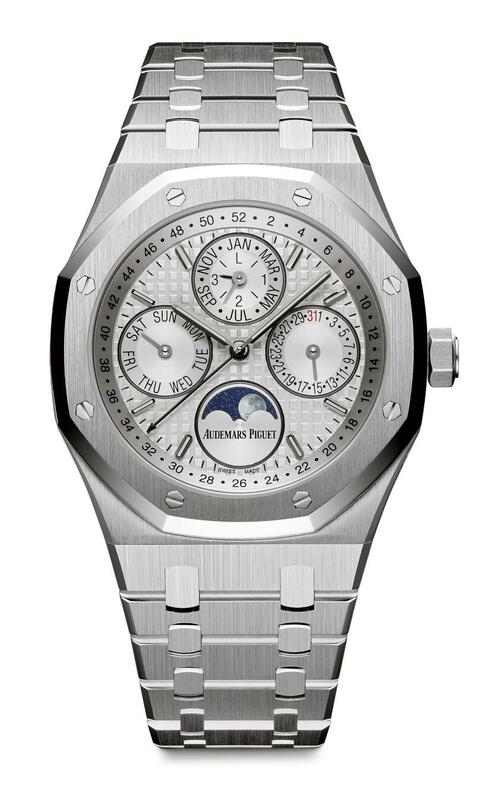 The new automatic caliber 5134 is based on its predecessor, calibre 2120, however it has been enlarged in accordance with the updated 41mm case size. 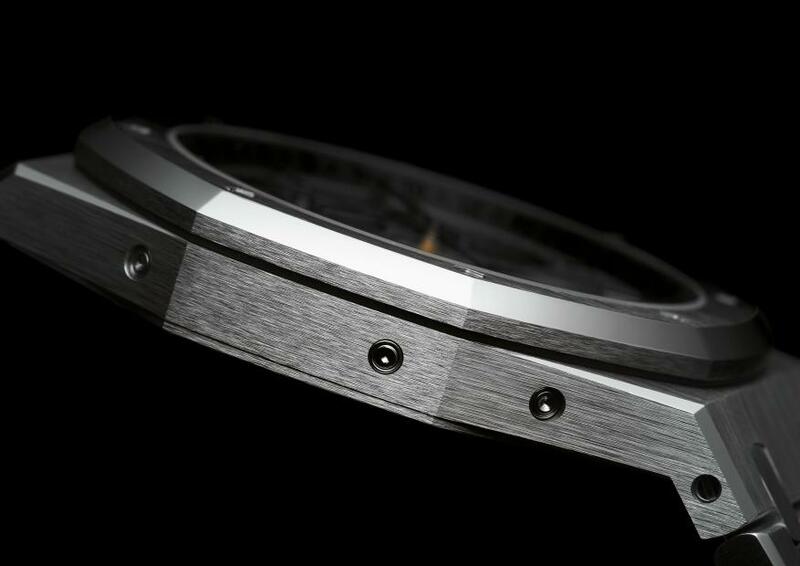 The highly finished 4.31mm thick movement is fully visible through the glare-proof sapphire crystal caseback. 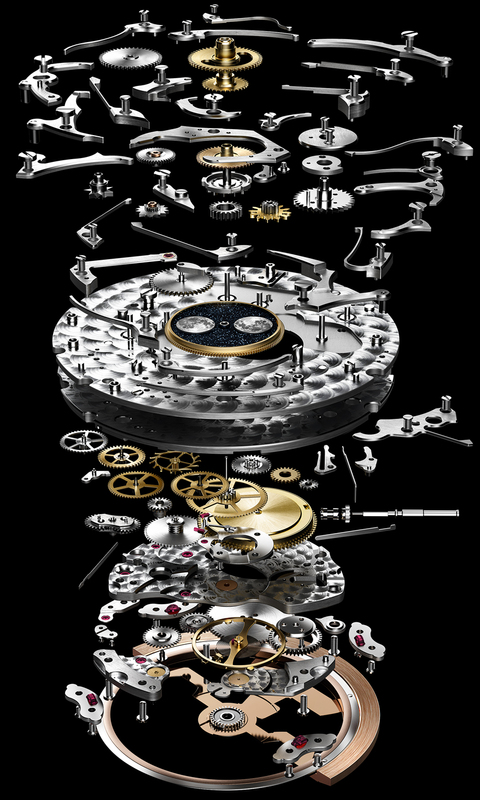 The thinner the movement, the more complex it is to adjust and assemble its parts as it requires extraordinary skills to work on components which are sometimes as thin as a human hair. 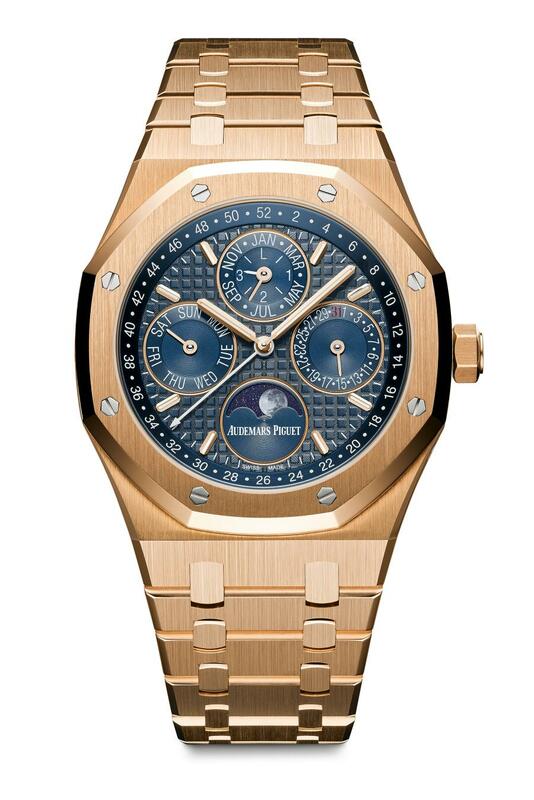 However all finishing operations are performed by hand in accordance with the highest standards of Haute Horlogerie.